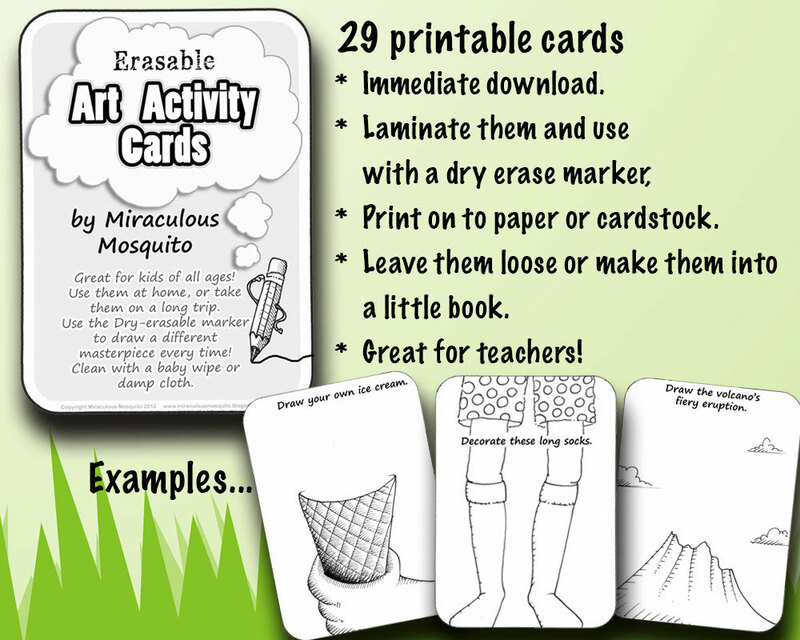 Printables - Miraculous Mosquito. 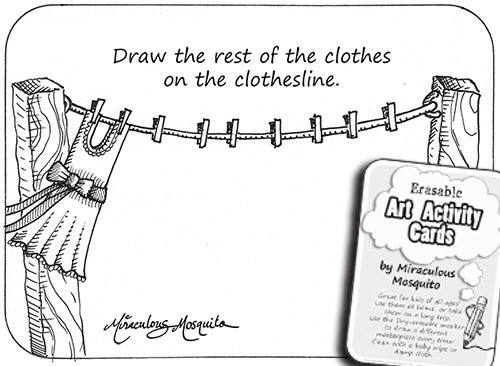 Art, creativity, and fun! 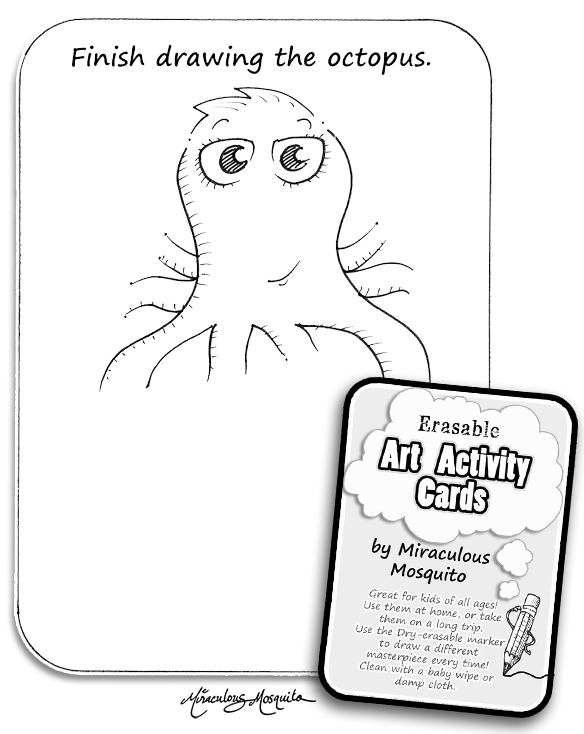 The printable items below are all made from artwork originally created by Miraculous Mosquito. Purchase is by PayPal secure payment. As soon as your payment has been accepted, the printable will arrive in your email inbox, by way of an instruction message with a link for download, so you can have it within seconds! Each printable must be paid for seperately. 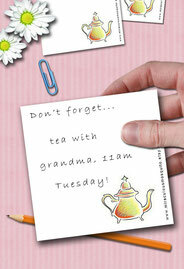 The best part about printables is...the shipping is FREE! PLEASE PROCEED TO THE ITEMS UNDERNEATH THIS GALLERY TO MAKE YOUR PURCHASE. 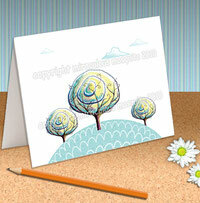 Three little trees stand happily on a hill on this sweet little card. It is smallish in size - 8.13cm by 12.4cm when folded (3.2 inches by 4.8 inches). 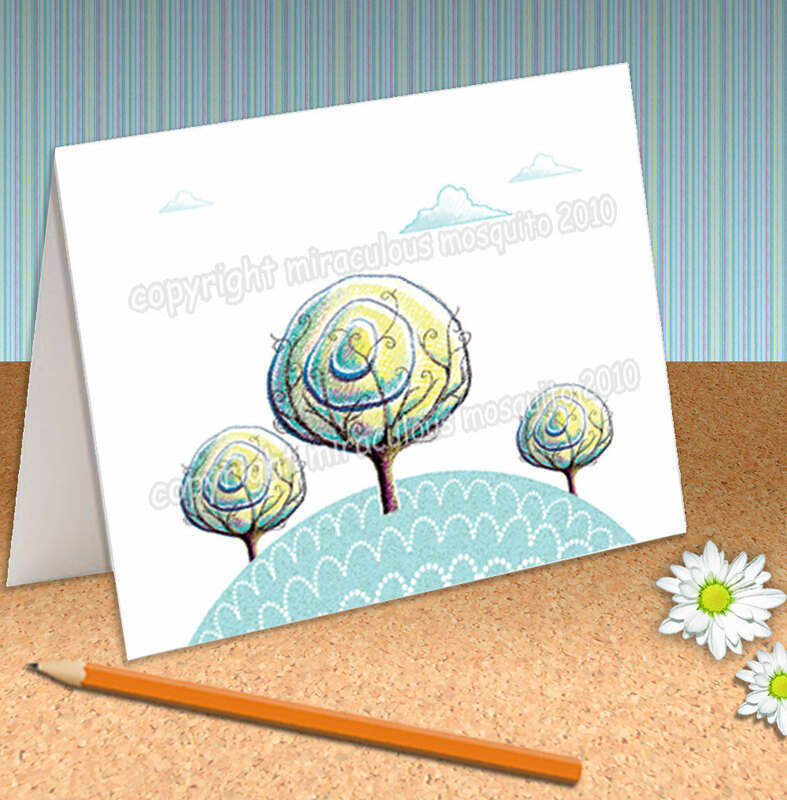 The tree design was drawn by hand and digitally enhanced. 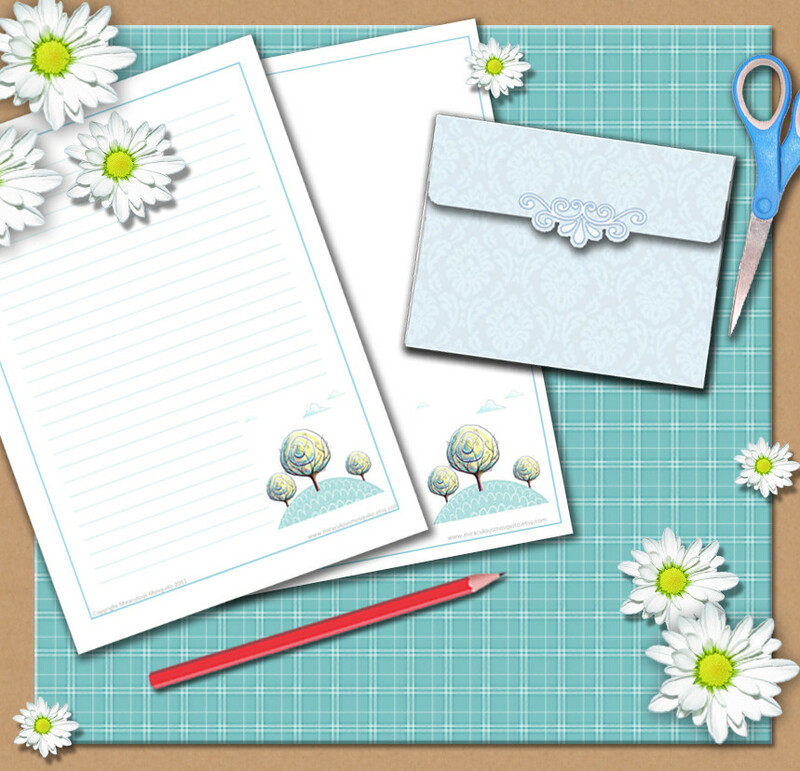 I have left it blank inside for you to write to your heart's content. There is a lovely blue fancy envelope to go with it. 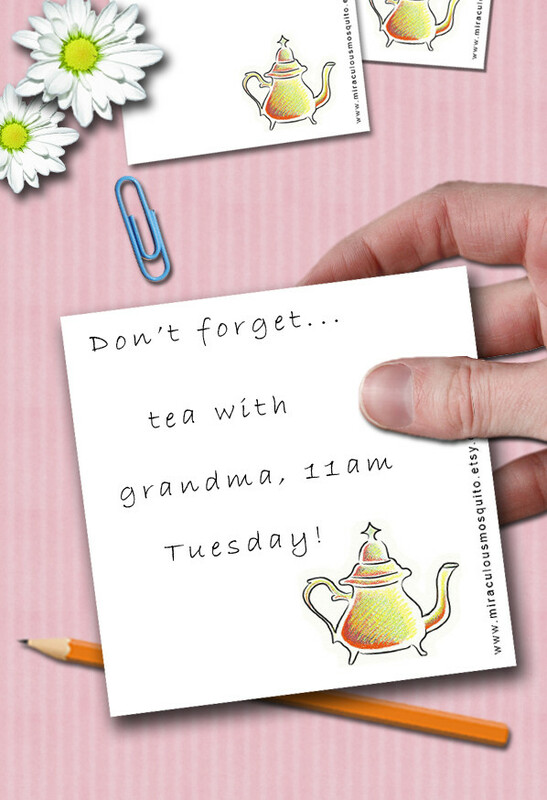 Print it as many times as you like onto a nice white or creme coloured cardstock, and give it to your friends and family. It will suit any occasion. 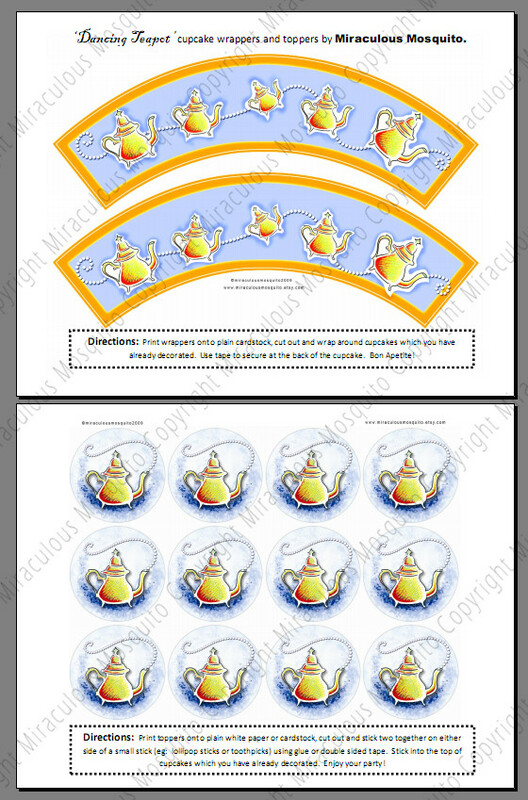 This is a totally original design which will arrive within seconds to your email as a high quality, easily printable PDF document. Once you own it, you can print it as many times as you like. This purchase is intended for personal use only, and not for resale in any shape or form. 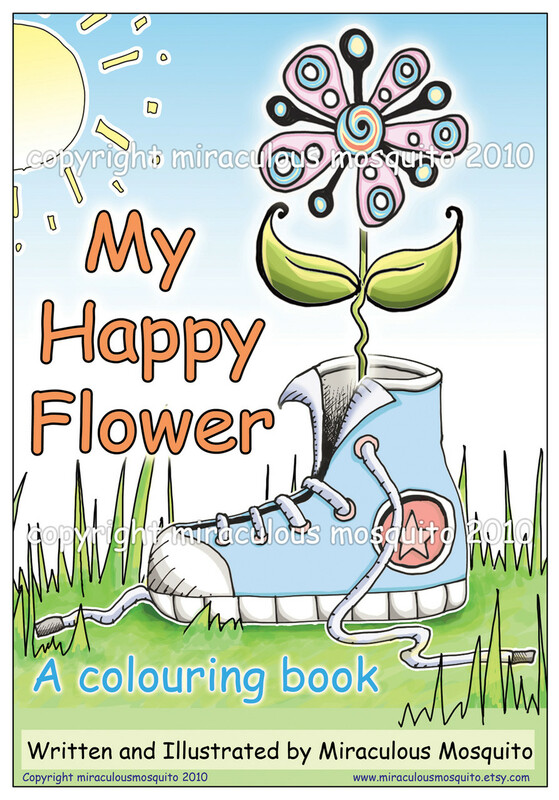 'My Happy Flower' contains 17 printable pages of my original illustrations for any age to color in, centered around the rhyming story of a little flower growing in a shoe. 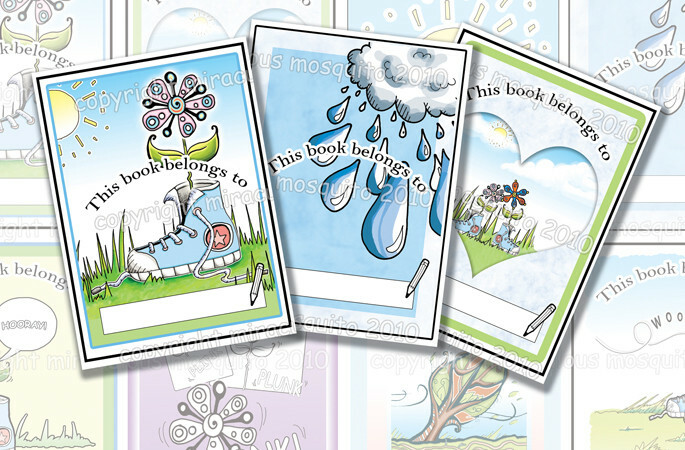 At the end of the book are 'fun pages' with activities related to the story. 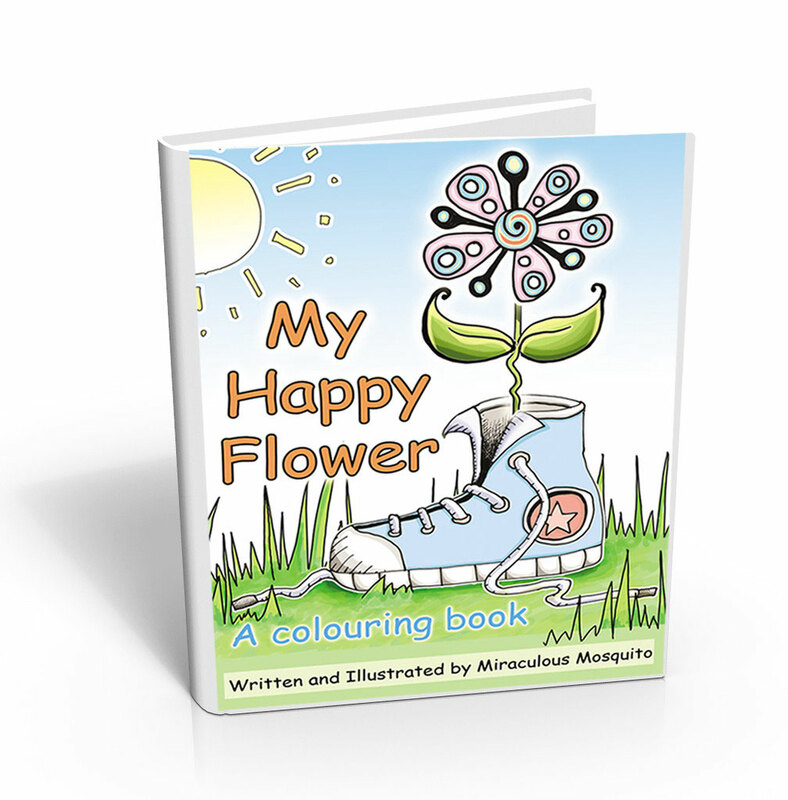 Written and illustrated by Miraculous Mosquito. This really is a huge bargain, 17 pages for only $6 (that's only 30c per page!). You will receive a 17 page high resolution PDF document in your email within seconds, after your payment has been confirmed. This purchase is intended for personal use only, and not for resale in any shape or form. The cute cartoony drawings are already started, all the artist has to do is complete each picture with their own personal ideas. 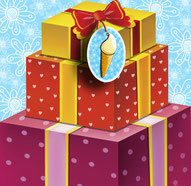 Both boys and girls will enjoy them, I have tried them out on my own children and the cards kept them busy for hours. 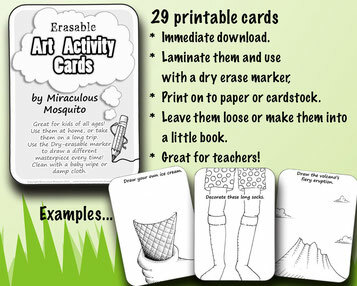 The cool thing about these cards is that you can use them as erasable activities (just laminate them, cut them out, punch a hole, and add a ring so they don't get lost), or simply print them on to paper or card so that budding artists can draw straight on to them and add colour if they wish. You could also make them into a mini drawing book if you like, it is up to you. 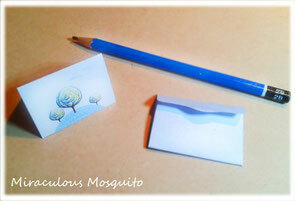 Each card is written and illustrated by Miraculous Mosquito. The original drawings are all done by hand with black pen on white paper. This is a huge bargain...29 cards for such an affordable price. 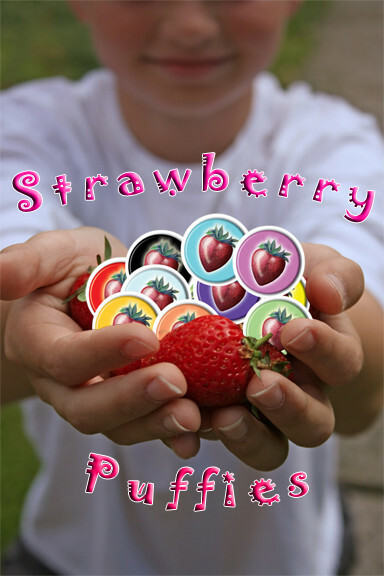 Great for teachers, parents, grandparents, and homeschoolers. You will receive a high resolution PDF document in your email instantly as soon as your payment is accepted. This item is for personal use only. You can print the cards out as many times as you wish for your own personal use, but the cards may not be sold in print or digital form. Please do not send the PDF to anyone else, but encourage your friends to purchase their own copy, as this will help me keep my shop open and justify all the hours spent on making these items. 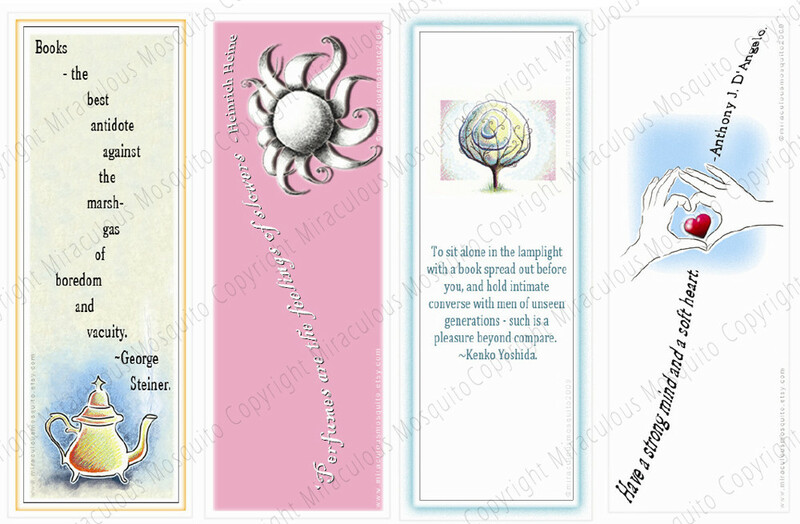 These cards are also not to be digitally copied in any way unless permission is gained from the author/illustrator. 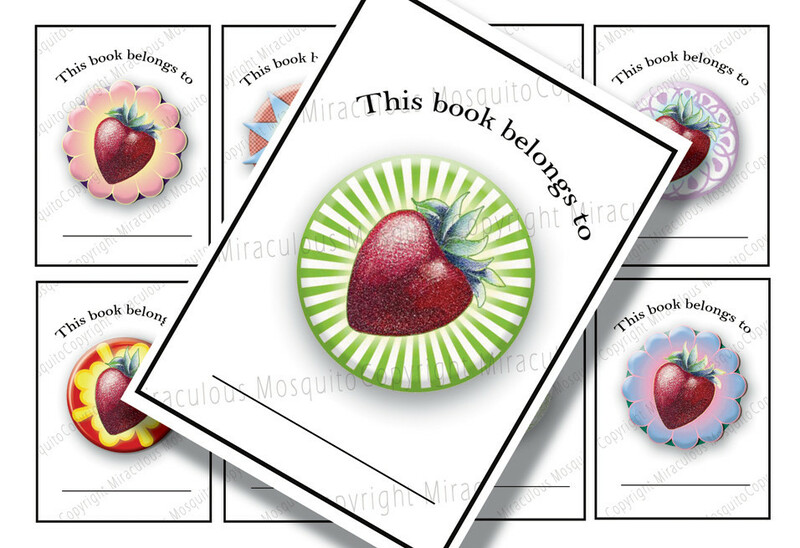 If you would like a commercial license for any of my printables please contact me. 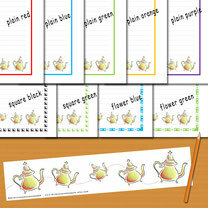 Dancing Teapot Notepaper (With Lines) - Printable PDF - 9 different borders! 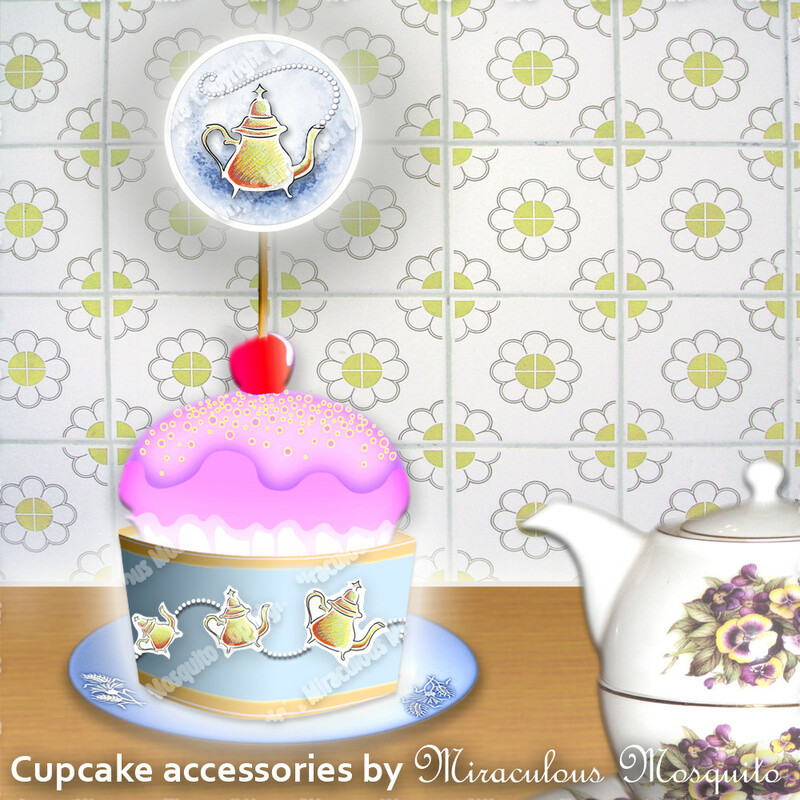 Even teapots like to have a bit of fun now and again! 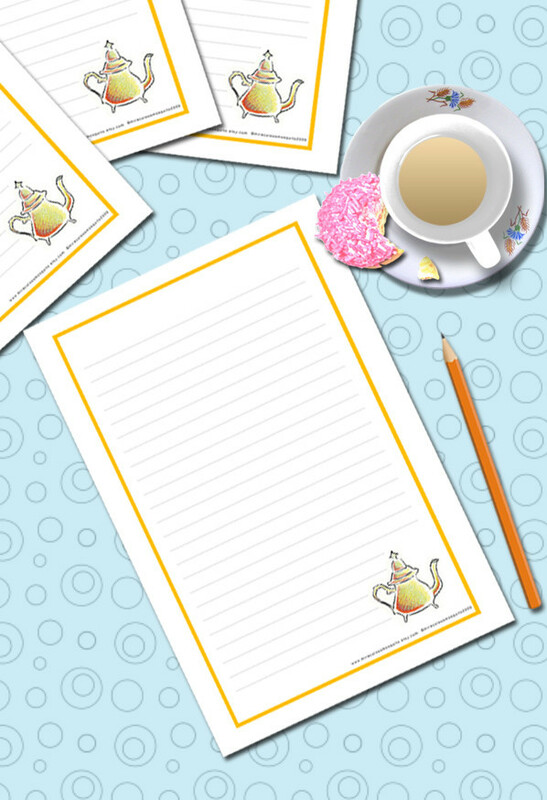 Send someone this cheerful lined A4 notepaper and make their day, or print out lots and make your own notebook. 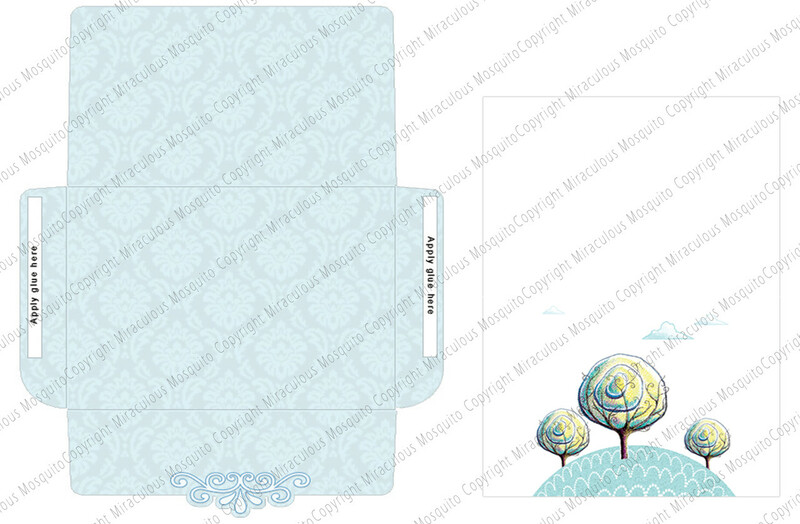 You will receive a zipped file with 9 different designs. This item is a PDF document delivered promptly to your email, which can be printed as many times as you like on your own printer. Display items in the picture are not included. This purchase is intended for personal use only, and not for resale in any shape or form. 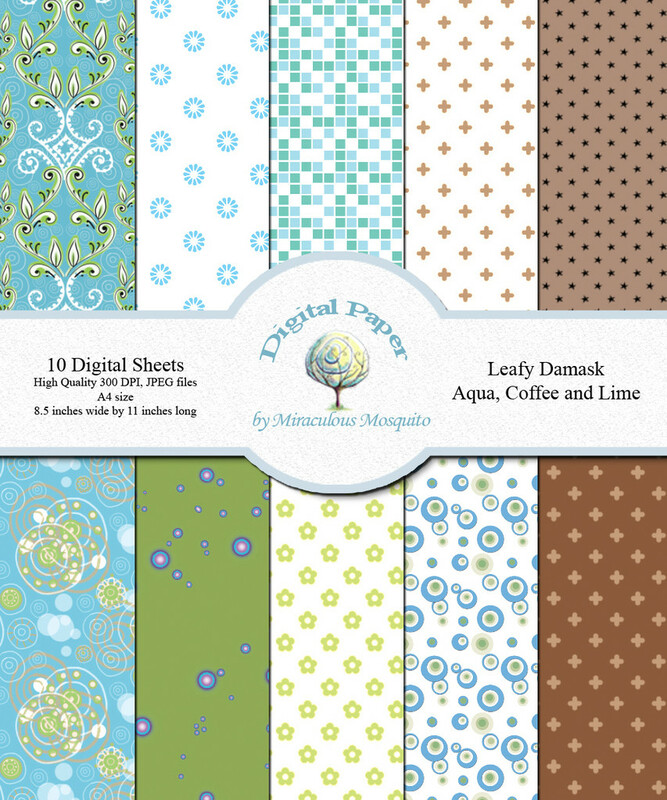 10 A4 size sheets of high resolution digital paper, featuring some of my own original drawings. 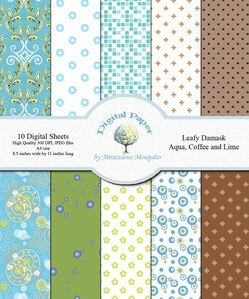 Purchase and print as many times as you like for your crafting/creative pleasure! 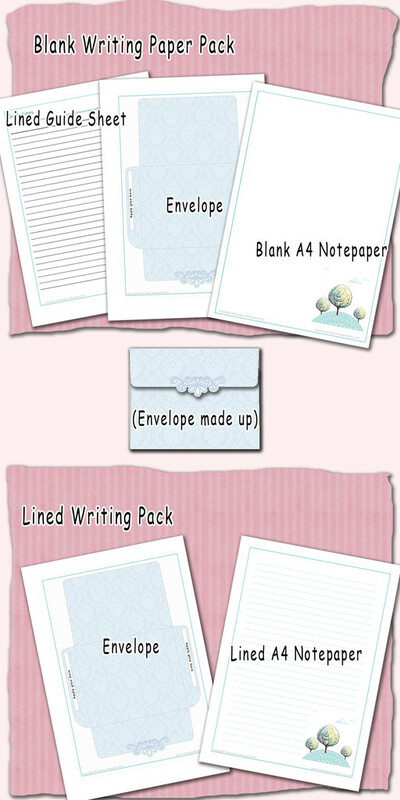 Perfect for digital and physical scrapbooking, cardmaking, collage, decoupage, etc. You will receive a zip file by email, which contains 10 high quality 300dpi jpeg files, and one jpeg which shows all the designs together. Any display items in the picture are not included. 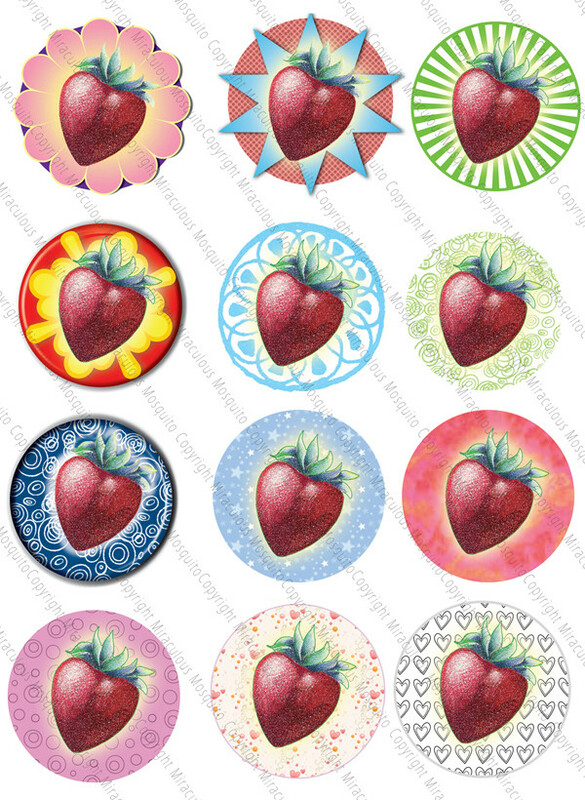 First I drew this delicious looking strawberry by hand in pastel, and then placed it onto a variety of groovy backgrounds for your embellishing pleasure. Use them for whatever your heart desires! 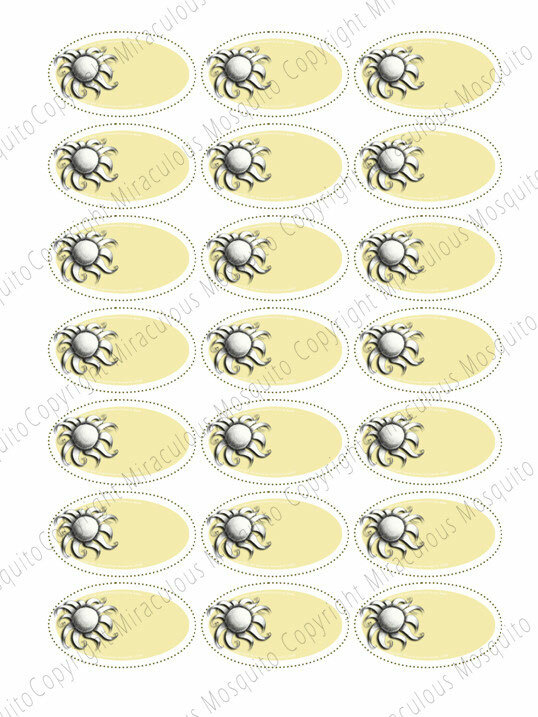 Print them as many times as you like on to sticker sheets, cardstock, etc. 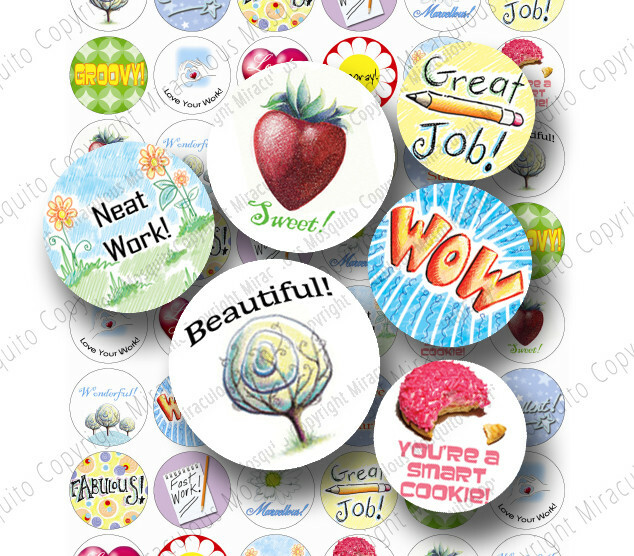 Make labels, badges, jewellery, scrapbooking embellishments, mobiles, magnets, and more! You will receive a high resolution PDF document in your email within seconds after your payment has been confirmed. 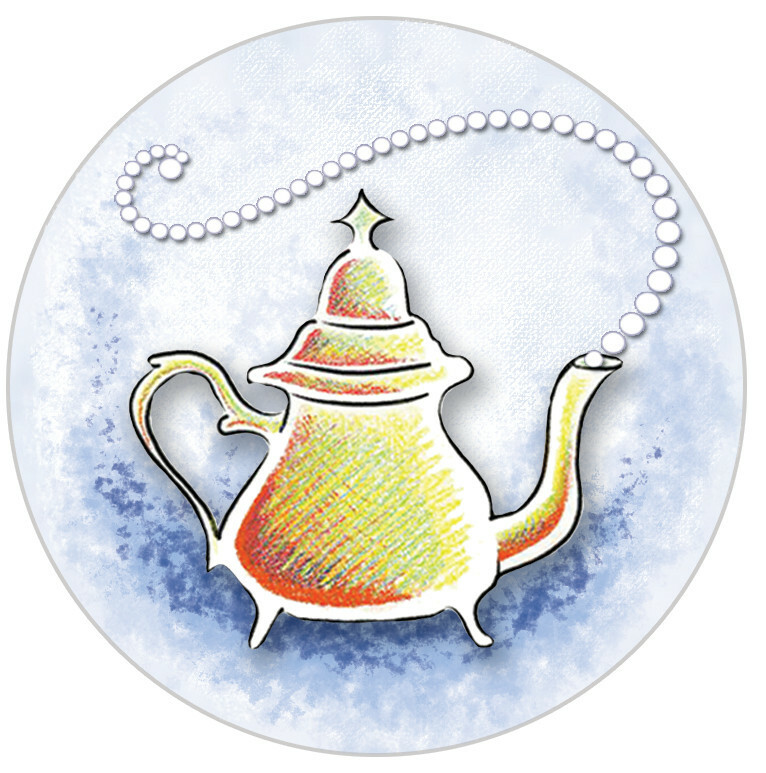 The circles range from approximately 5.5cm to 6cm across in measurement (approximately 2.25 inches). 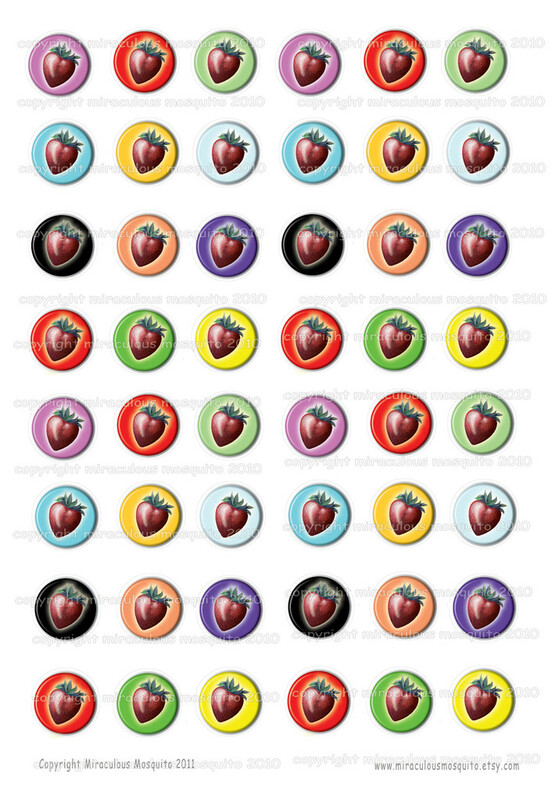 You will get one sheet of designs (12 different strawberry designs on one page) Display items such as string etc are not included. I have written 'Thank you' on one tag as an example of use, but this is not included on the PDF. You can write whatever you like on the back. This item is for personal use only, not for resale. The world needs a bit of positive talk, don't you think? Here is a whole A4 sized printable sticker sheet, jam packed full of original circular sticker designs, designed by Miraculous Mosquito. 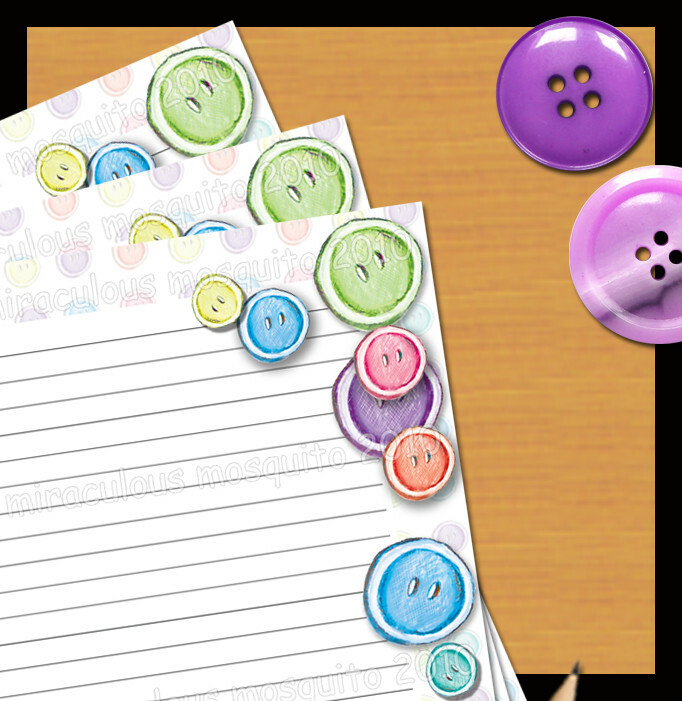 Each circle is one inch across, and feature positive words such as... YAY! FABULOUS! GROOVY! BEAUTIFUL! HOORAY!... I think you get the picture. You will receive a high resolution PDF document in your email within seconds after your payment has been confirmed. 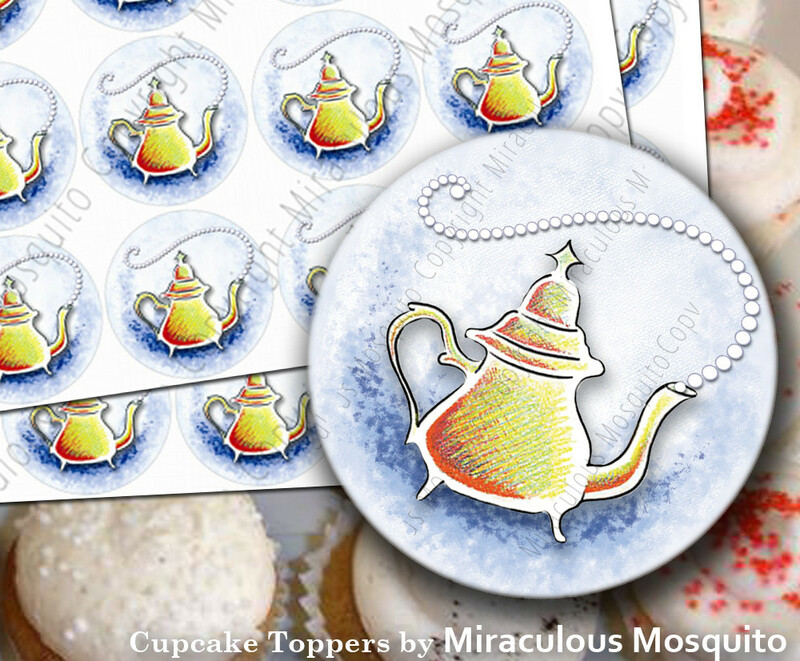 Once you have purchased, just print as many of these cuties as you like on to sheets of adhesive paper (use glossy it looks great!) cut them out and stick them on anything you like. Great student rewards from teachers, scrapbooking, parents, homeschoolers, tutors, etc. 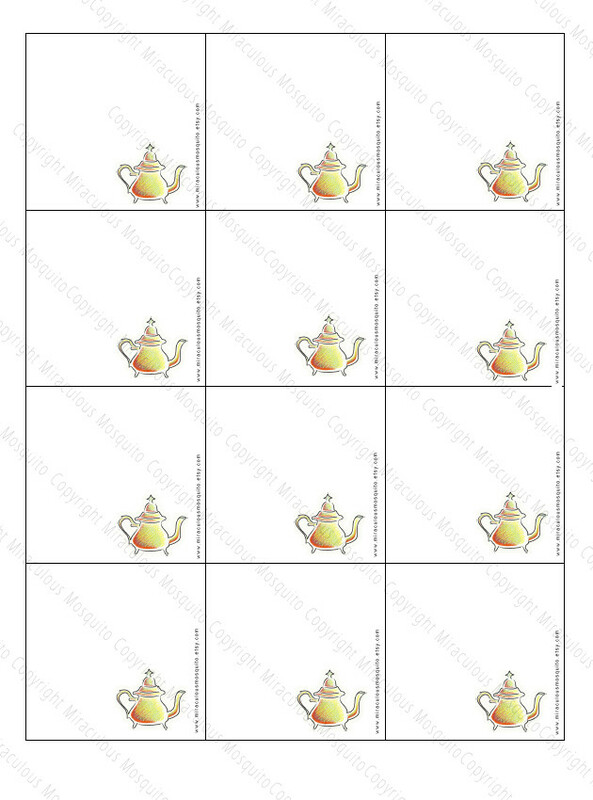 There are 54 circles on each sheet, and 17 original designs, which have been repeated. Each design has been lovingly hand drawn and then set on a cheerful background. This item is for personal use only, not for resale. 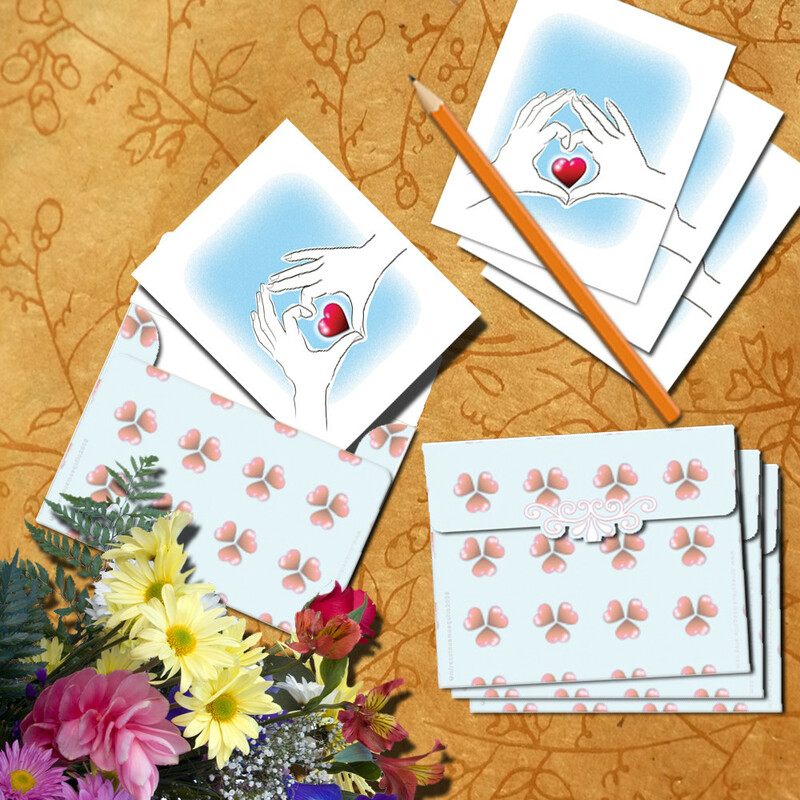 Show your appreciation to the ones you love with this delightful heart shaped hands card. I have left it blank inside for you to write to your heart's content. It has been drawn digitally using a drawing tablet. 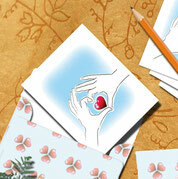 The card is smallish in size - 8.13cm by 12.4cm when folded (3.2 inches by 4.8 inches). 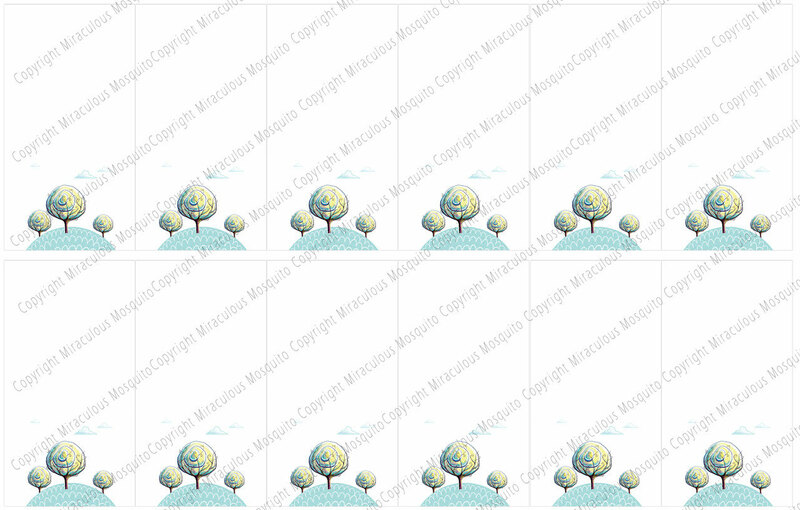 This is a totally original design which will arrive within seconds of purchase to your email as a high quality, easily printable PDF document. Once you own it, you can print it as many times as you like...and the shipping is free! Intended for personal use only, not for resale. 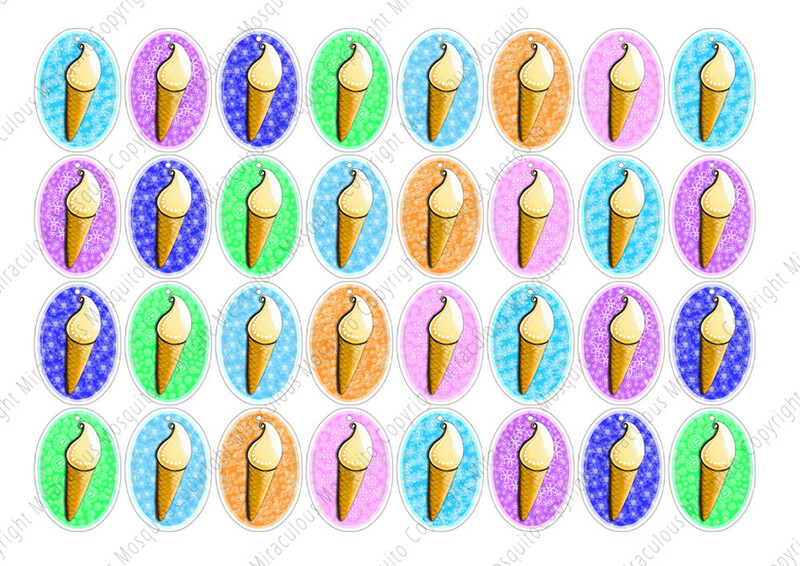 Print out these cute little ice cream tags and put them on gifts, use them for scrapbooking, jewellery, etc. This Printable PDF sheet features a hand drawn ice cream on oval shaped tags on a variety of different colourful patterns and backgrounds. There are 32 tags on one A4 sheet. Present in display picture is not included. 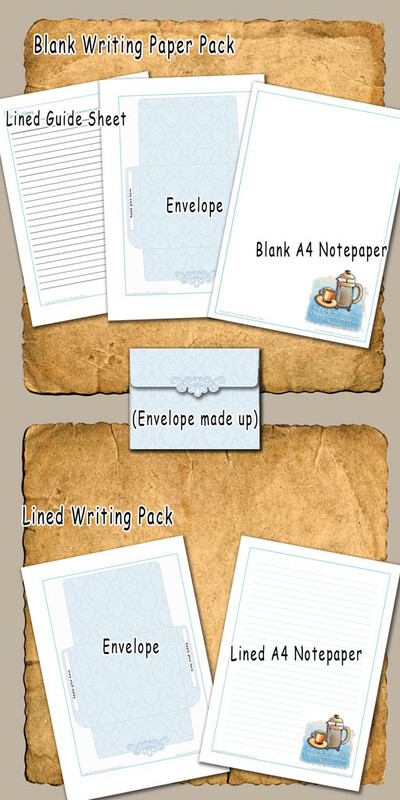 Your PDF printable document will be emailed to your address within seconds, as soon as your payment is received. Intended for personal use only, not for resale. 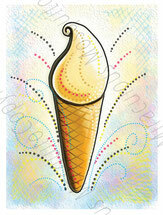 What better than a cool vanilla ice cream in a waffle cone on a hot summer's day? Send this cheerfully delicious card to your friends and make them smile. 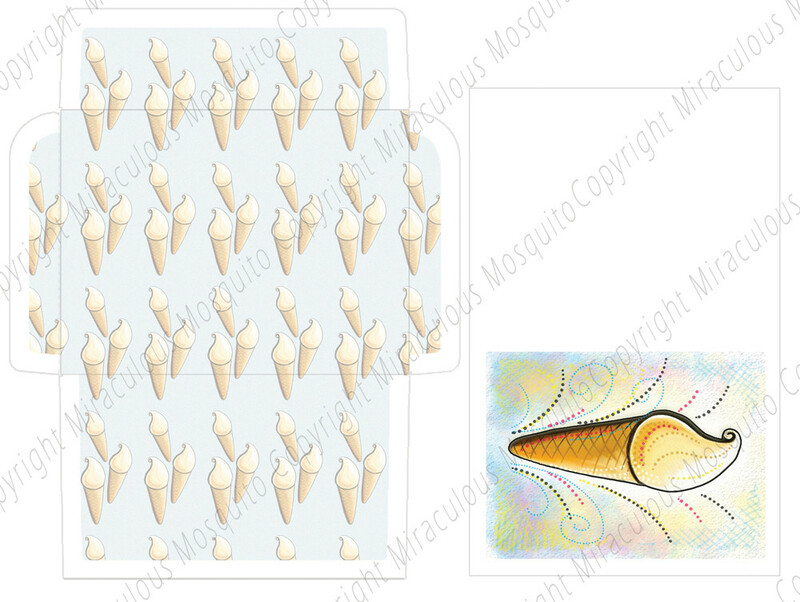 The printable PDF you receive will be one A4 sized sheet with one ice cream card, and a matching envelope with ice cream design inside. 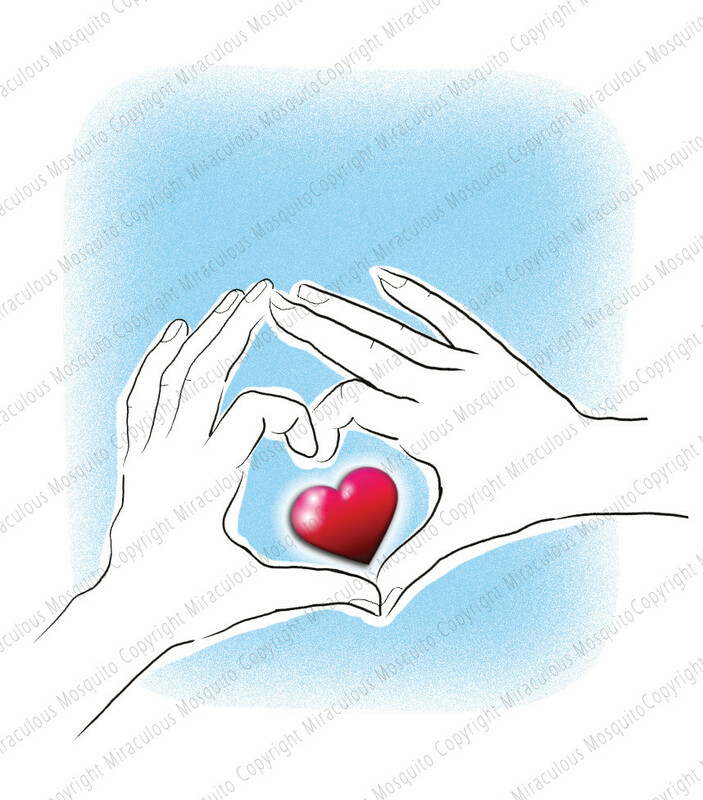 The file will have no copyright watermark on it. You will receive your item by email within seconds of purchase. Intended for personal use, not for resale. 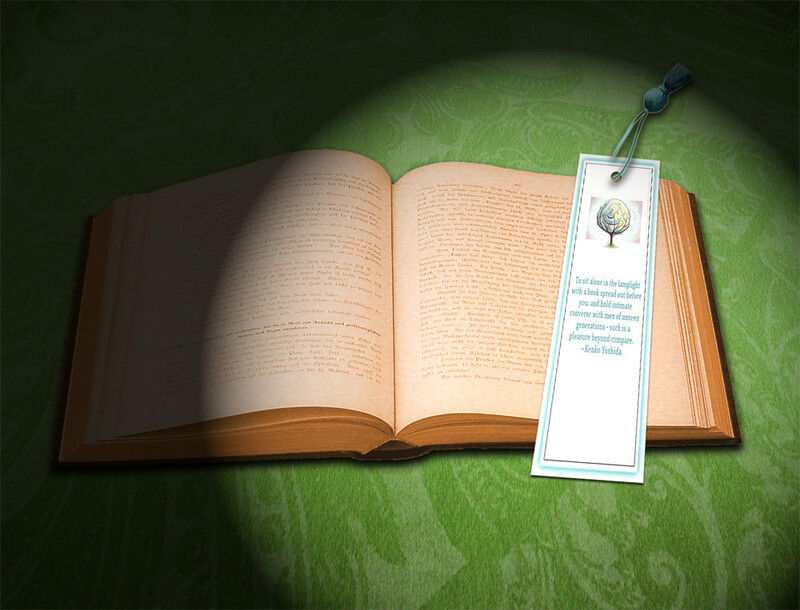 If you love books as much as I do, you would agree that they deserve a bit of respect! 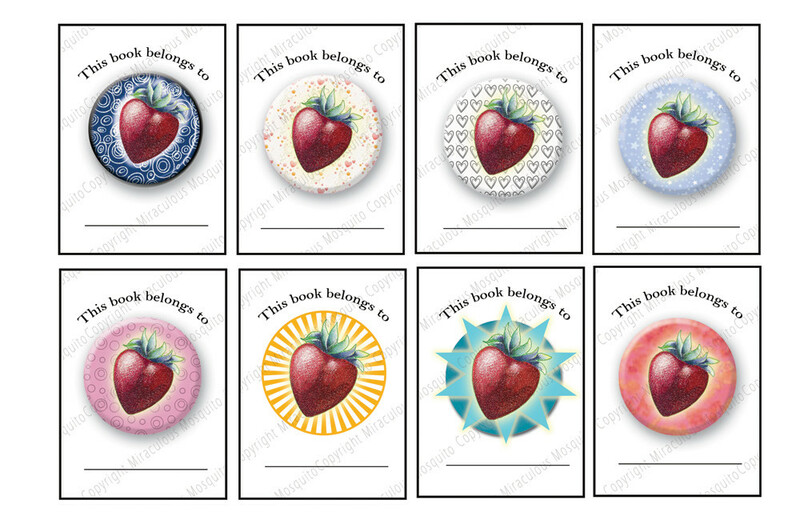 Make them look like they belong to someone who cares, by gently applying these 8 original hand drawn printable book labels to the inside cover. Featuring my spooky spider flower design. 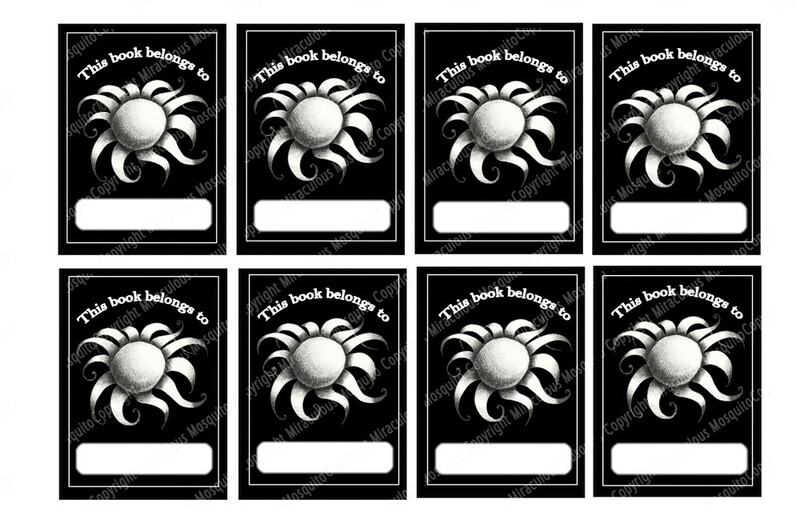 Print them on to adhesive paper and cut them out, or onto nice paper and just glue them into (or onto) your books. Also great for putting on the front of your school/uni notebooks. Personalise your own books, your children's books, or put them inside a book intended as a gift for someone special. 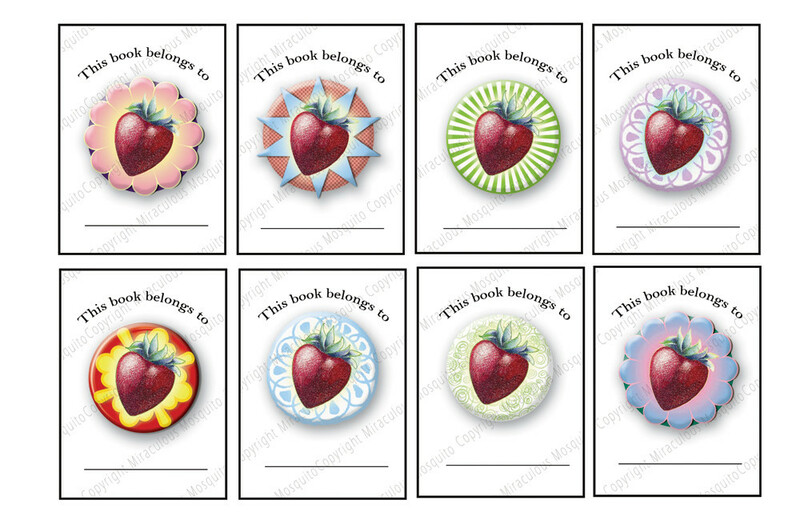 The high resolution PDF you receive will be one printable sheet of 8 book labels. It will be delivered within seconds of purchase, to your email. Intended for personal use, not for resale. 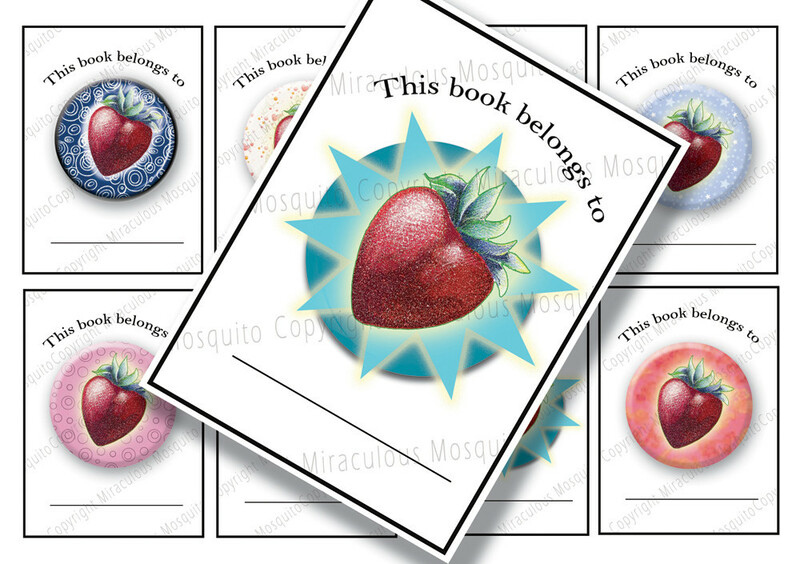 Make them look like they belong to someone who cares, by gently applying these 8 original hand drawn printable book labels to the inside cover. 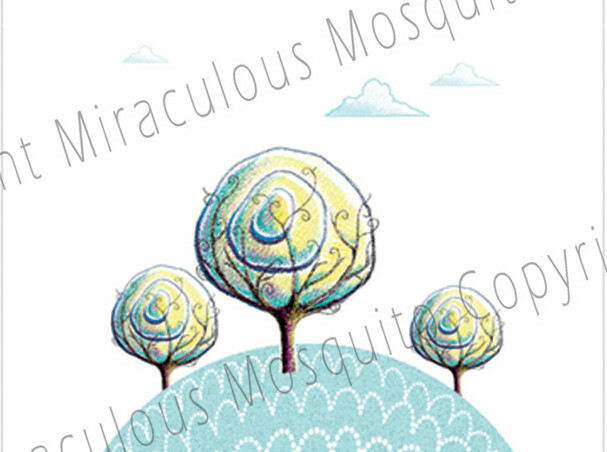 Featuring my'Three Trees' design. 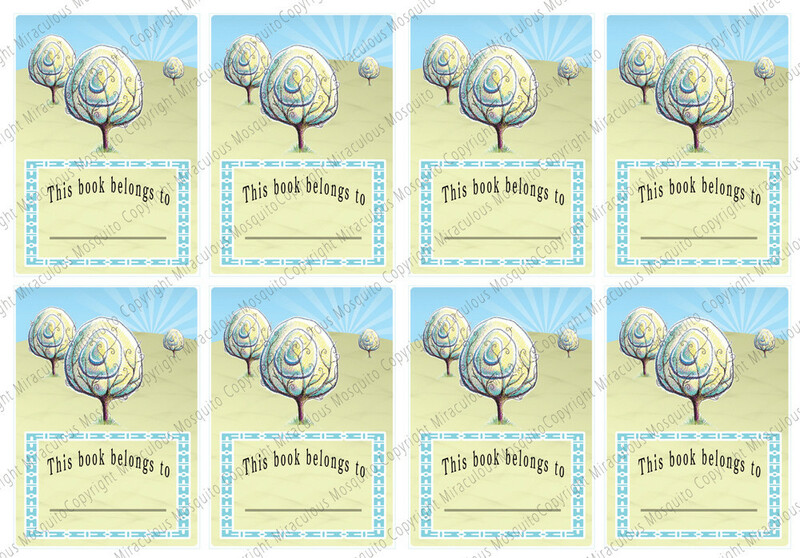 Print them on to adhesive paper and cut them out, or onto nice paper and just glue them into (or onto) your books. 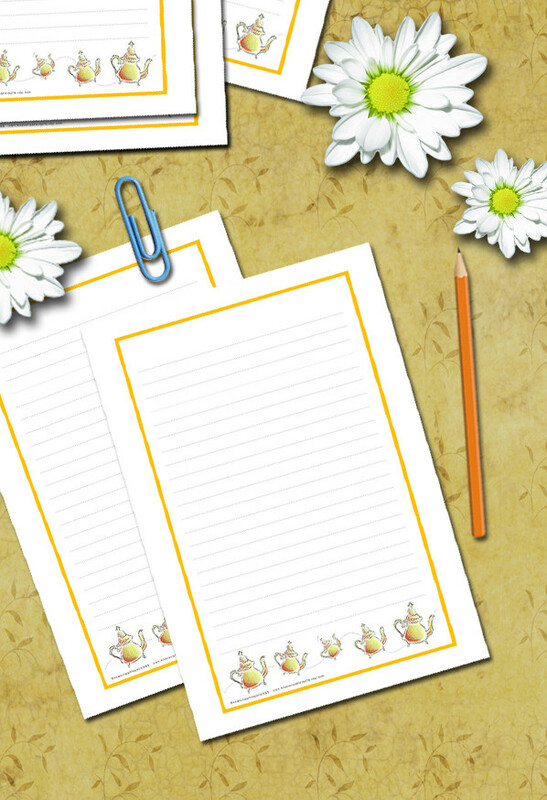 Also great for putting on the front of your school/uni notebooks. 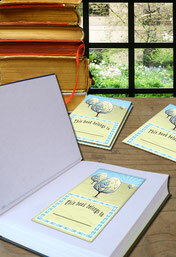 Personalise your own books, your children's books, or put them inside a book intended as a gift for someone special. You will never need to insult your favourite books again by using torn bits of paper or old envelopes to mark the pages! Here are four fabulous bookmarks that you can print off as many times as you like. 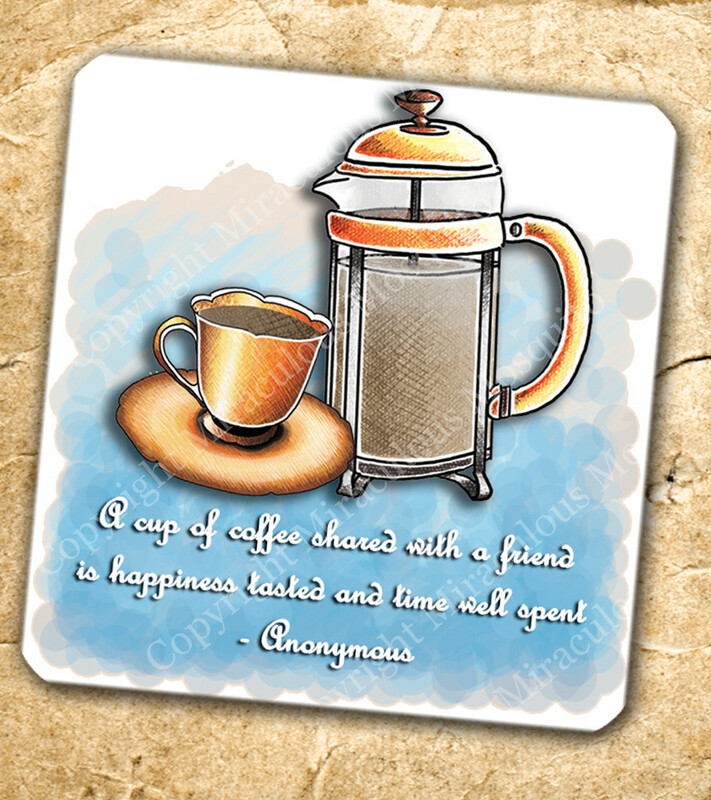 Use them yourself, or laminate and decorate them, and give them to your friends. 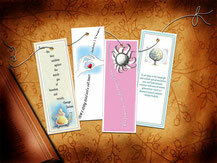 Each bookmark is lovingly designed by me, and I have selected a warm and fuzzy quote/saying for each one. 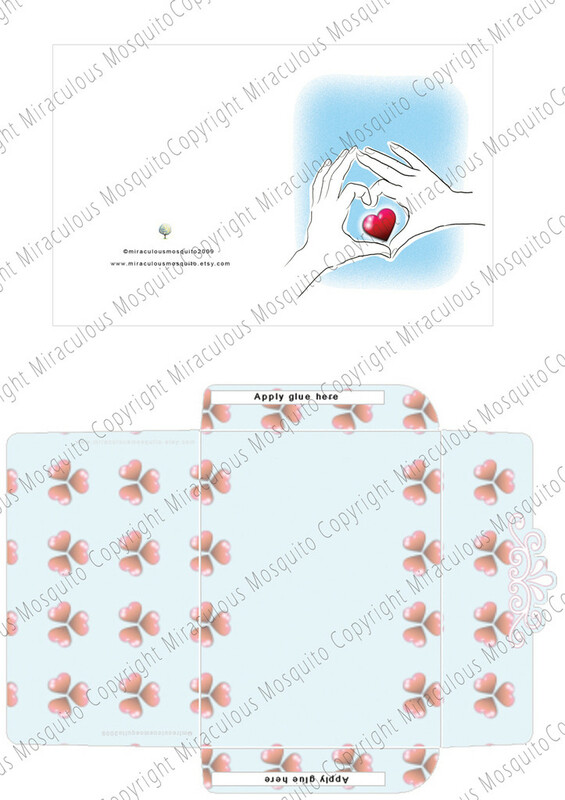 You will receive one A4 size high quality printable PDF document in your email, within seconds, when payment has been confirmed. Note: Display accessories not included. 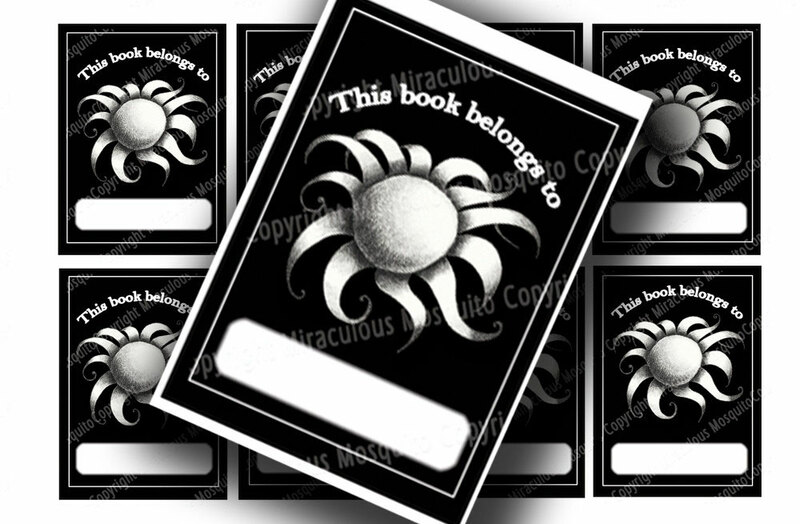 This printable is for personal use only, and not for resale. Surprise your penpals with this cute button notepaper. 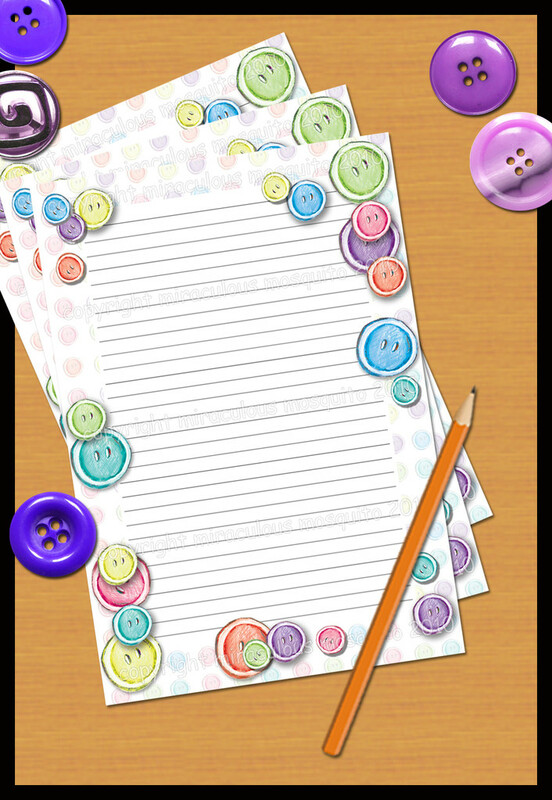 The buttons have been originally drawn by hand, then placed on to the paper to cheer up anyone who receives it. 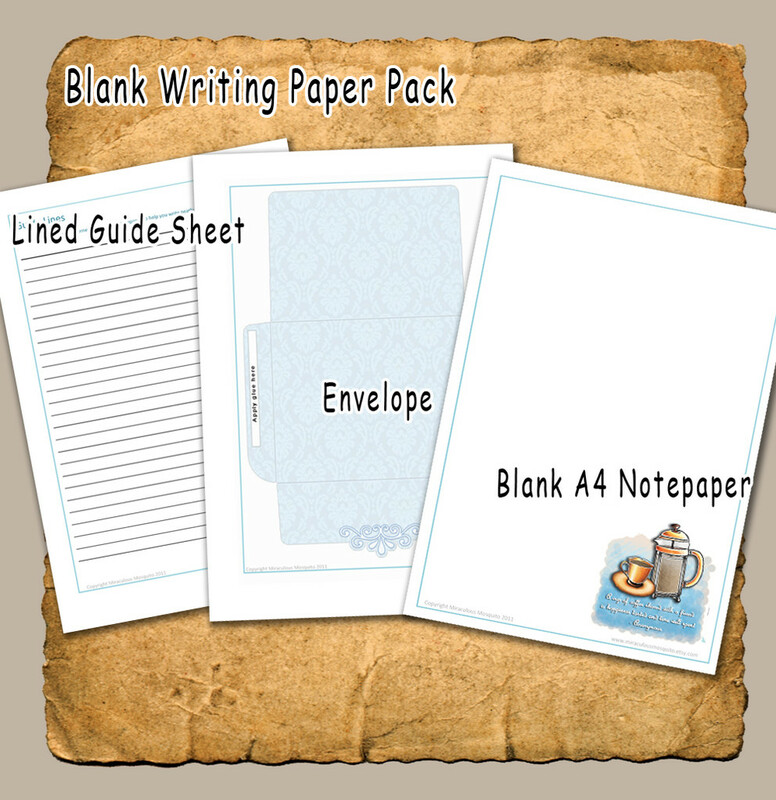 Great for journal writing too! You will receive one A4 size high quality printable PDF document in your email, within seconds, when payment has been confirmed. Please note: display accessories in the photo are not included. 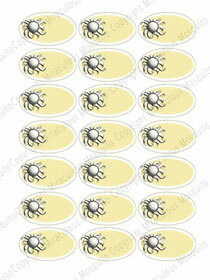 This printable is for personal use only, and not for resale. This original hand drawn design features a french press/coffee plunger and a matching cup, made into notepaper, with a bonus fancy envelope. 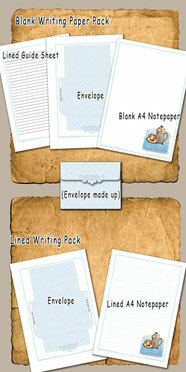 This is a collection of high resolution, printable PDFs which will be sent to your email address upon purchase, within seconds. Intended for personal use only, not for resale. 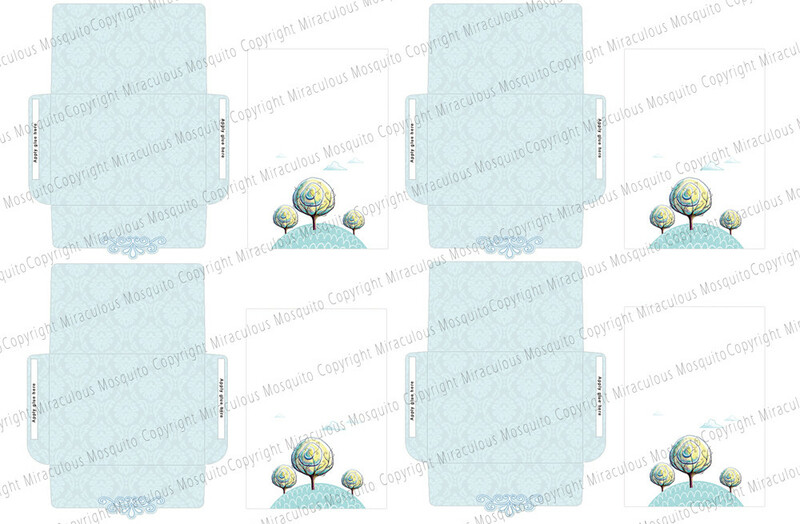 If you are a fan of the 'Three Trees' Design, then this package of printables is for you. It has everything you need! 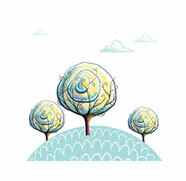 All of the items below feature the Three Trees design in the photo. To purchase these seperately would usually cost $9, but in this convenient package you can buy them for $7, which is a saving of $2. Upon purchase, you will receive a zip file of high resolution PDFs, delivered to your email within seconds. Intended for personal use only, not for resale. 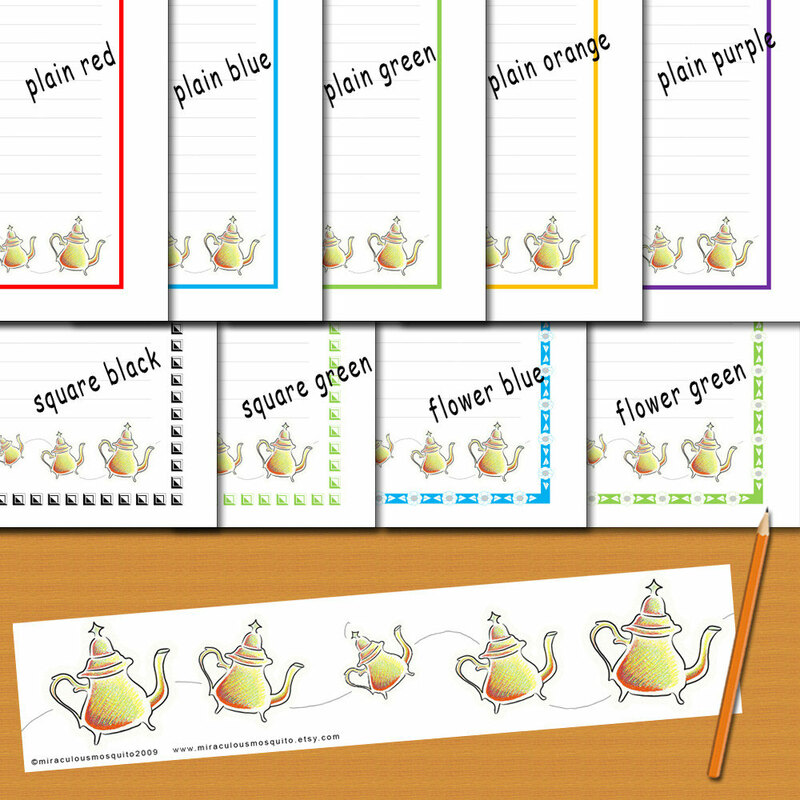 Choose your favourite colouring tools and get stuck into this printable colouring page, hand drawn by me! 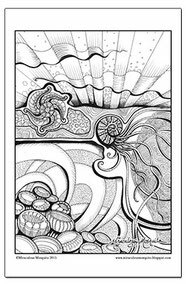 Full of flowing lines and textures that jump out and grab you by the senses. Fits nicely onto an A4 page. Upon purchase, you will receive one easily printable, high quality black and white JPEG file, delivered to your email within seconds. Intended for personal home use only, not for resale or any other use unless given written permission by Miraculous Mosquito. Sign up for the MM Newsletter! Click on the pink TV to Watch My Drawing Videos.